The perfect treatment for the time conscious. A relaxing facial to cleanse your skin and eliminate fatigue. European style deep steam facial. This treatment includes professional skin analysis, steaming, exfoliating, deep pore cleansing extraction of toxins, toning mask and massage. Pevonia’s Clear-O-Zyme@ is a natural enzyme for the most intense deep pore cleansing for a skin renewal experience, unclogging pores and clearing blemishes. Minimizes oily shine and soothes red irritated skin. 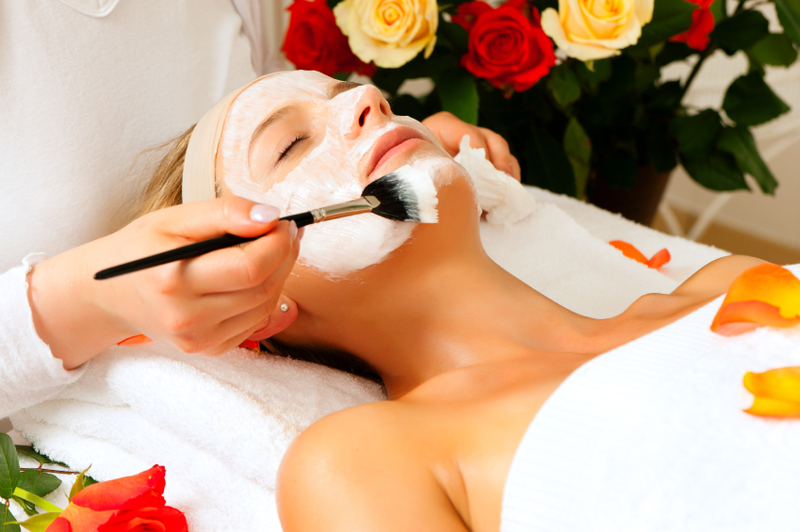 A relaxing facial to cleanse your skin and eliminate fatigue. This treatment includes professional skin analysis. A gentle exfoliating peel removes dull surface cells, a luxurious massage revitalizes and a deep cleansing mask with botanical extracts rejuvenate and nourishes the skin. This unique bio-thermal mask becomes soothing and warm, then cools to refresh and chill. These changes in temperature server to increase the absorbency of active ingredients and micronized vitamins that work as anti-free radicals, then tightens skin for rejuvenated appearance. A three-layered mask with a highly potent concentration of vitamin C and Seaweed offering a visibly luminous result. Reduces fine lines, strengthens the skin’s elasticity and counteracts photo aging. A gentle exfoliating peel removes dull surface cells, a luxurious massage revitalizes and a deep cleansing mask with botanical extracts rejuvenate and nourishes the skin. A self-heating fruit extract pack stimulates. This special treatment for men targets ingrown hairs, clogged pores and provides relaxation. Includes: deep cleansing, steam, exfoliation and mask. An innovative and powerful system to address teen skin concerns and target acne! A balancing treatment for normal oily skin, with organic extracts and Paraben-free this facial exfoliates, cleanses and purifies skin to reduce blemishes and pore size while preventing breakouts.